Those are just a few of the words that have been used to describe the Packers 40-10 loss to the Detroit Lions on Thanksgiving Day. Packers fans, players and coaches are no doubt leaving last Thursday’s game behind and focusing on the remaining four games on the schedule. But here’s a quick look back at some of the numbers from the most recent loss. 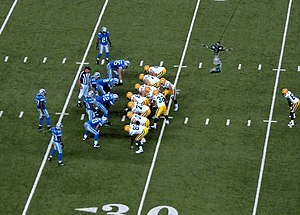 * The Lions had 561 total yards in the game while the Pack could muster only 126. It was the 16th time since 1970 that one team had over 500 total yards and their opponents had under 150 in an NFL game. The Packers have been on the low end in three of these 16 games, most in the league. In 1999, the Packers lost to the Denver Broncos 31-10, with the Broncos gaining 514 yards to the Pack’s 133. In 1978, the Cowboys gained 537 yards en route to a 42-14 win over Green Bay. The Packers had only 142 yards in that contest. * Until Matt Flynn connected with James Jones on that 56-yard pass play late in the game, the Packers had only 70 total yards. Had they stayed under 100 total yards for the game, it would have been the fourth time since 1970 that one team had over 500 yards and their opponents had under 100 in a game. The last time was in 1988 when the Vikings had 553 yards to Detroit’s 89 in Minnesota’s 44-17 win over Detroit. * This was the 23rd game since 1970 that the Packers had under 150 total yards for the game. They are now 2-21 in such games. 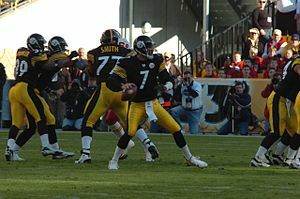 The last game with under 150 yards was November 19, 2006 against the New England Patriots. That resulted in a 35-0 defeat at the hands of the Pats. * The Packers did have four takeaways in the game against the Lions. It was their second game this year with four takeaways (also vs. Cincinnati). Unfortunately, the Packers have lost both games when they had four takeaways. NFL teams this year are 30-6 (.833 winning percentage) in games where they have four or more takeaways. The Packers have two of those six losses; the Vikings have also lost two of those games. Green Bay is 101-25-3 (.795 winning percentage) in games since 1970 when they force their opponents into four or more turnovers; they are 30-4 (.882) since 2000. * The Packers last 30-point loss was November 19, 2006 to New England when the Patriots won 35-0. Their last 30-point loss on the road prior to the Detroit beating on Thanksgiving was December 19, 2005 when they lost 48-3 to Baltimore. * The Packers offense had no TDs last Thursday. It was the first game with no offensive TDs since December 12, 2010 when they lost 7-3 to the Lions. The Packers have had no offensive TDs in 11 games since 2000. They are 4-7 in those games. Team members and coaches of the Cardinals, Dodgers, Red Sox and Tigers are hoping that their team will get four wins in their respective league championship series and make it to the World Series. 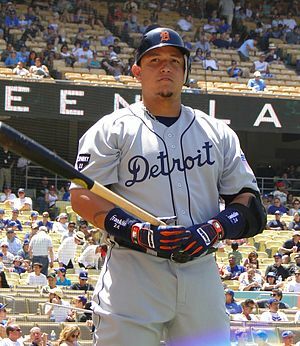 For two players, however, that desire for a trip to the World Series may be burning a little hotter than his teammates. Detroit‘s Torii Hunter and St. Louis Carlos Beltran currently rank second and third on the list of active major league players who have played the most regular season games without playing in the World Series. Hunter has played in 2,091 games and Beltran has 2,064 games under his belt without making an appearance in the World Series. For Beltran, this is his fourth time playing in an LCS (the final stop before the World Series). Hunter is making his third appearance in an LCS; this is the seventh season that he has played in the post-season. Of players who played in the majors in 2013, Miguel Tejada tops the list; he has played in 2,171 games without getting to the Fall Classic. Here’s a look at the active players (players who played in 2013) with the most games without playing in the World Series. While Hunter and Beltran have over 2,000 games played without a World Series appearance, they are still several games short of the all-time leader. Rafael Palmeiro played in 2,831 MLB games in his career, appeared in two LCS and played in the post-season in three seasons. He did not, however, ever see action in the World Series. Here are the players who played the most games in MLB history without playing in the World Series. Four of the players listed above not only never played in the World Series, they also never played in any post-season game. The four: Banks, Appling, Vernon and Bell. Carew made four appearances in the LCS, but his team never won the chance to advance to the World Series. Last week I posted an article that noted the chances of winning an NFL game where a team commits four or more turnovers was about 20 percent. Let’s take a look at the other end of the turnover spectrum… no turnovers in a contest. Last week’s games featured 10 teams that did not commit a turnover. Those teams were 8-2 (the two teams that lost even though they did not commit a turnover were Miami and Detroit). That 80% winning percentage last week is pretty close to what we’ve seen since 2010. In the last three-plus years of NFL play, teams with no turnovers in a game have won 298, lost 79 and tied once. That’s a .790 winning percentage. Since 2010, the New England Patriots have played the most turnover-less games, 27. The San Francisco 49ers are the only other team with 20 or more such games; they have played in 21 turnover-less games in the last three-plus seasons. At the bottom of the scale are the Arizona Cardinals who have had no turnovers in only five of their last 54 games. Following are the number of games since 2010 that each NFL team has played without committing a turnover (the team’s record in those games is also noted). Note: there have been 35 times this season that a team has gone without a turnover in a game. Teams are 26-9 in those games, a .743 winning percentage.